These days almost everything online requires a separate account and gamers with wide interests will have a dozen to keep track of. Not only can this be a hassle, but to neglect them is a security risk, as hackers often target game-related services to gain access to information which can be sold, or used to steal money. The Rockstar Social club is a platform tailored with Grand Theft Auto and other Rockstar franchise fans in mind. And now finally it too has added an option for two factor authentication (2FA), which when enabled will make your account more secure. 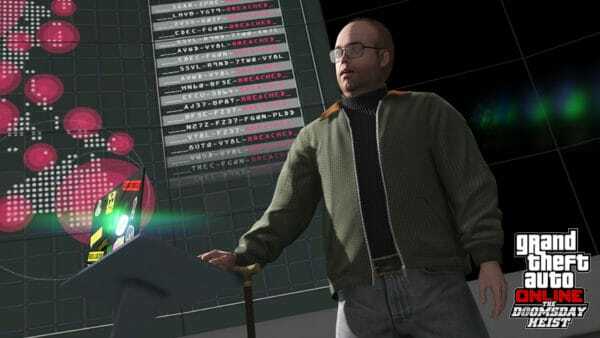 With GTA Online, you need a minimum of two accounts to play on almost all platforms. On consoles, you need a PlayStation Network ID or an Xbox Live account. On PC, you may own the standalone version where one account is enough, but many players use Steam, for which you also need an account. a good idea! ), or have different passwords for each, and risk forgetting them, or writing them down, which also is also problematic (LastPass can be a big help with this last problem). Tying online accounts to some sort of authenticator, usually mobile phone based, can prevent outside access even if someone else gets a hold of your password. Many gaming services have this feature, some even sporting their own authenticator applications, such as Blizzard’s Battle.Net and Steam. In the case of the Social Club, you are not restricted to using the Rockstar-made app, but can choose between several, giving you greater freedom. If you already have several accounts tied to one authenticator, you can use that instead of adding more clutter. While some services have the option to get SMS verification codes instead, such as EA’s Origin, Rockstar doesn’t offer this. Rockstar has updated its knowledge base with a number of entries regarding two step verification to get you up to speed if you want to enable it, and you really should. Basically, it has no drawbacks but will help you secure your account, preventing unauthorized access or theft. A great benefit considering that many a Social Club account, and thus associated GTA Online progressions, have been stolen in the past.